Monsanto is one of the largest pharmaceutical and agricultural companies that produces genetically-modified foods & seeds, drugs, chemicals, pesticides, and herbicides. This multibillion dollar company has other branches in 100 different countries and is the main producer of genetically modified crops & seeds in the world. Monsanto has been around since 1901, and makes billions of dollars profit a year. In the last 110 years of its dark existence, Monsanto has been destroying the environment by releasing all kinds of pollutions, toxic chemicals, and feeding the world hunger with its genetically modified foods & seeds. For many, Monsanto is among many other multinational companies who represents greed, ignorance and injustice. In 1977 Monsanto sold its chemical business and got heavily engaged in producing genetically modified corn, soybeans and biotechnology. 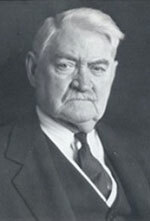 The founder of Monsanto was John Francis Queeny. He started Monsanto with the capital from Coca-Cola in 1901. In 1902, Monsanto sold its first product, called Saccharin (the artificial sweetener), to Coca-Cola Company. By 1905, Monsanto began to make profits by selling vanillin and caffeine. In 1906, the US government started regulating and inspecting meat products, but somehow even up to today, multi-billion dollar companies like ConAgra and Monsanto remain exempt from regulations, since they pay and make donations for research facilities, schools and even USDA framework. During WW2, Francis Queeny couldn't import chemicals from Europe, so Monsanto started manufacturing its own chemical products. In 1929, Monsanto went "public", and became the largest producer of polychlorinated biphenyls (PCBs). Although PCBs were banned in the 1970s, they still remain in water along Dead Creek in Sauget, where Monsanto had its plant for manufacturing them. PCBs were widely used in lubricants, cutting oils, and hydraulic fluids until scientific evidences proved that PCBs are one of the world's deadliest carcinogens, and can cause immune system disorder, birth defects, cancer, and death. The first manufacturing plant of PCBs, in Illinois, has the highest rate of immature birth and fatal death. However, Monsanto knew the risk and dangers of PCBs from early on, but couldn't afford to lose business when it was making money at the time. In 1935, Monsanto gets involved in detergents and soap production, and by 1938, Monsanto becomes largely involved in the plastic business. From 1939 to 1945, Monsanto did a lot of research on enriching uranium for the Manhattan Project. During WW2, Monsanto was involved in the creation of the first nuclear bomb in the Manhattan Project and was involved in production of PCBs, DDT, and chemical weapons that were sprayed on the Vietnamese civilians and American troops during Vietnam War. In 1945, Monsanto used chemicals, pesticides, and herbicides in agriculture, so that by 1955, Monsanto could increase its assets by 50%. From 1975 to 1967, Monsanto was involved in the creation of several Disneyland attractions that were built entirely by non-biodegradable plastic. When Disney decided to tear them down, they couldn't break it using	chain saws and shovels, so they had to squeeze pieces of [these non-biodegradable] plastic into trucks. From 1961 to 1971, Monsanto was involved in production of Agent Orange for military use in the Vietnam War. Using Agent Orange caused severe health problems for the Vietnamese citizens, as well as for the US military. More than 4.8 million Vietnamese civilians were contaminated with Agent Orange, where 400,000 died or suffered from disabilities, and half-a-million children suffered from birth defects. In 1968, the Son of John Queeny; Edgar Queeny dies and since he didn't have any heirs Edward J. Block who joined Monsanto as an engineer becomes president. In 1972, the use of DDT was banned by the U.S. Congress. In 1973, Monsanto developed the glyphosate molecule, for killing weeds and roots, and marketed it as "safe", although glyphosate is toxic for both human beings and animals. Monsanto, calling this product Roundup, marketed it to 115 different countries. Sales of Roundup boosted Monsanto's sales by 20%, and, from the 1980s to 1990s, it made up 45% of the company's income. Even today, glyphosate is one of the herbicides on the market which still sells very well. In 1985, Monsanto bought the Searle Company (producer of the artificial sweetener called aspartame) Aspartame is used heavily in prioducing carbonated beverages. It's a dangerous toxic substance added to replace sugar, and is much cheaper than sugar. In 1987, Monsanto did its first test on "genetically-modified" crops. Having already made billions of dollars on som many lethals, poisons, and toxins by 1987, Monsanto had to pay out a miniscule 180-million dollar settlement to the veterans of the Vietnam War who were exposed to their Agent Orange, however, no compensation was paid to the Vietnamese civilians that were severely affected by it. By 1994, the first "biotech" products of Monsanto, called rBGH and rBST, were released into the market. Use of Posilac bovine somatropin (rBST/rBGH) – injecting synthetic hormones into livestock – was approved by the FDA. In 1995, the genetically-modified canola oil was shipped to Canada and 80% of acres of farm lands today are genetically-modified canola. 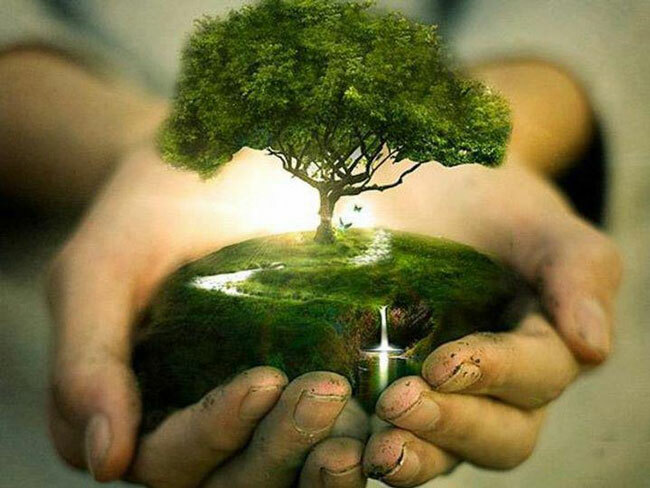 By 1995 Monsanto was ranked 5th among other US corporation on releasing 37 million pounds of toxic chemicals to the environment based on the EPA report. As Monsanto started focusing more on biotechnology, it expanded its genetically-modified crops and seeds into "feeding", i.e., into the "world hunger" market. Monsanto came up with a new genetically modified crop, resistant to their own Roundup agent, called glyphosate. This [codependent use of both] "allowed" farmers to use Roundup weed killer during the growing season, without hurting their crops. With inventing genetically-modified crops and Roundup, now Monsanto had the upper hand in the market. 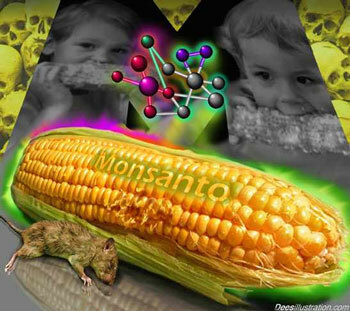 By 1997 Monsanto has three new genetically-modified seeds called "GMO canola", "GMO cotton", and "GMO corn", and bought [up many] seed companies. Based on Monsanto's claims, Roundup is passed-off as "environmentally friendly" and "biodegradable", however, in 1997, a New York state attorney took Monsanto to court to force them to stop calling Roundup "environmentally safe". At the same time, The Seattle Times reported that Monsanto sold Idaho fertilizer companies 6000 tons of waste full of contaminants, carcinogens, and heavy metals that are root causes of kidney failure, cancer, and nervous system disorder. From 1997 to 2002, Monsanto became a giant in biotechnology, and at the same time spent 10 billion dollars worldwide to buy up seeds companies. Today, Monsanto is the largest seed company in the world, dominating the global seed market. By 1998, their "Roundup Ready corn" was ready to be marketed. In 2001, Monsanto owned 91% of GMO crops worldwide. In 2002, Monsanto agreed to drop their lawsuit against DuPont Company, and instead, work with DuPont in sharing the technology of their genetically-modified crops. In 2002, because of the depression in Argentina, Monsanto lost 154 million dollars. In 2006, organic farmers, who were concerned with the impacts of GMO alfalfa, sued Monsanto. In 2007, the use of rBGH and hormones, were widely increased with/in livestock. However, by 2010, the demand for dairy products without use of synthetic hormones increased by 500%. Since most of the American dairy products come from cows that are injected with hormones, Monsanto's lobbyists aggressively push for their anti-labeling policies, so that consumers cannot distinguish between farmed milk and milks that contain hormones. Today, Monsanto owns 80% of genetically-modified crops, and the sales of Roundup have made Monsanto the 5th largest agrochemical company in the world. With US holdings 30% of the world's market share for wheat, Monsanto came out with a new product called "Roundup Ready wheat". The power of these multi-billion dollar companies come to picture when the US wouldn't even sell Iran commercial airplanes where hundreds of innocent civilians die every year. 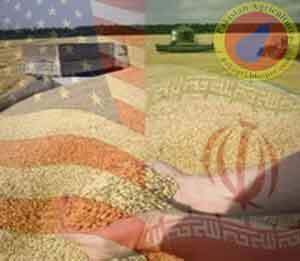 But, despite all the sanctions the United States, is selling Iran genetically-modified wheat. It's interesting to many that Michael Taylor was appointed as senior adviser to the commissioner at the FDA by president Obama. Michael Taylor is the Monsanto's VP and chief lobbyist who was Monsanto's attorney before he became FDA commissioner. Michael Taylor was "the one in charge" of FDA policy when the genetically-modified foods and seeds were allowed into the US food supply before performing a single test on GMOs' side-effects on human beings. This is when even FDA scientists were seriously concerned about genetically-modified organisms' side effects in our food supply. So, they released secret documents and memos after memos warning about: nutritional deficiencies, new diseases, allergies, and unknown side effects of these GMOs in our food supply. But, obviously, Monsanto was very well aware that all of these so-called "scientists" and "nutritionists" cannot stand in their way because the head of FDA policy-making is Monsanto's VP, who wouldn't sacrifice Monsanto's profit margin that easily.